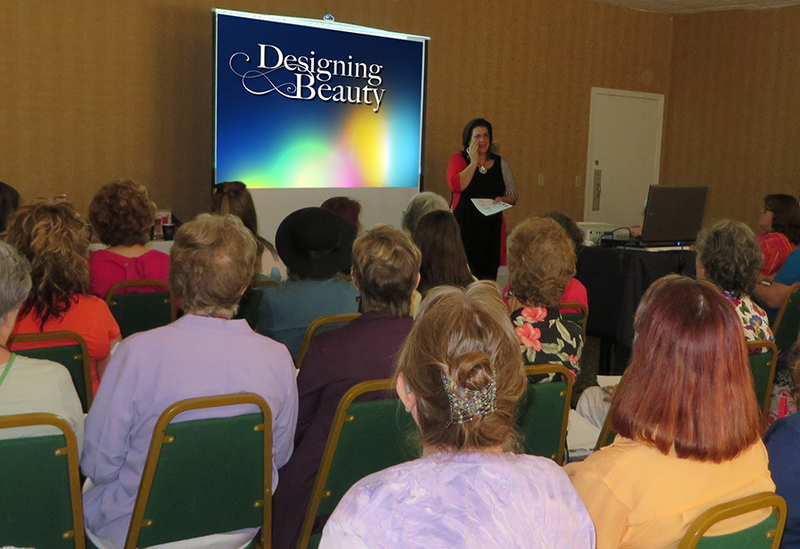 I’ve recently returned from the Central California Bead Society in Fresno where I taught and presented a new lecture, “Designing Beauty,” based on my latest book, The Beader’s Guide to Jewelry Design. I choose specific images for the slide show to help us precisely and instantly explore design concepts. Much of the jewelry I showed illustrated the concepts beautifully. Oohs and ahhs wafted like perfume through through the room. Conversely, since much can be learned from failure, I featured jewelry that missed the mark. Jewelry whose lack of unity evoked scrunched noses. Jewelry whose confusing shape left us uttering “wha-a-a-t?” Jewelry so visually unbalanced our bodies involuntarily listed to the left as we stared at it. My hope was for a lively, animated discussion about aesthetics, design, and beauty. I was thrilled to get that and more! We examined focal point and emphasis: What guides your eye in, around, and out of a piece of jewelry? We explored asymmetrical balance and disagreed: What some sense as solidly balanced was, to others, wonky. We analyzed intangible movement: What kinds of lines, shapes, compositions, and repetitions create what kinds of movement? We inspected shapes: Why is it so important that the overall shape of jewelry be distinguishable and aesthetically pleasing? And we talked briefly about one of my favorite topics: beauty. “Beauty is in the eye of the beholder,” one reminded us. We all have different sensibilities, different ideas of what is beautiful. Yet, there are aesthetic principles of beauty which humans have agreed upon since we became conscious. Do I feel enchanted, as if some form of magic is taking place? Do I sense a timelessness? Do I feel peaceful, like all is right for just this moment – or possibly forever – because this exists? Do I sense something larger and grander going on, something beyond what I can see, taste, hear, and touch? Do I feel glad to be alive, honored to be in a world where this exists, honored to be part of the human family where a fellow being can create such beauty? I am interested to hearing your thoughts. How do you define beauty? Please let me know! 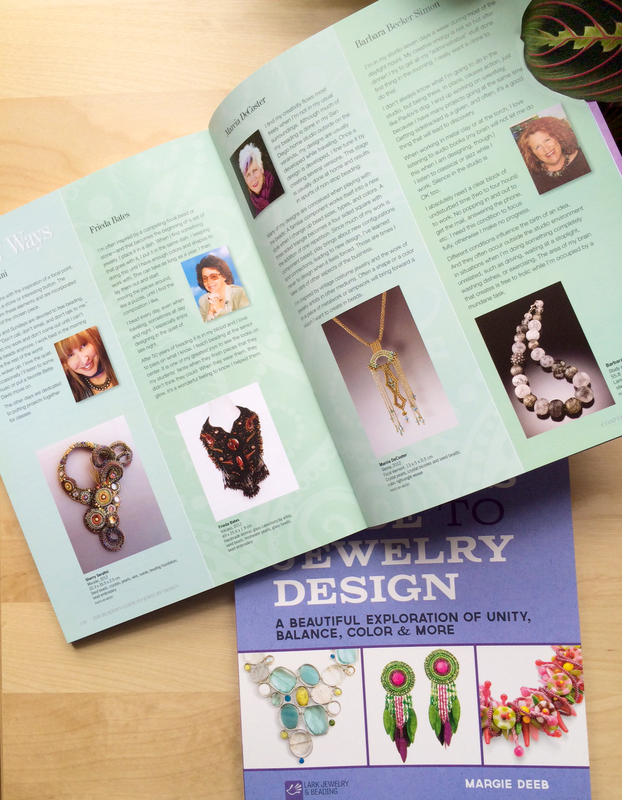 Read the interview with Lark Books about The Beader’s Guide to Jewelry Design here. Fear and Creativity. I don’t hear artists talk about them openly enough. When I’m battling fear in a creative project, my mind conjures images of all the artists I know. I see them in their studios, passionately writing, designing, composing, and creating for hours upon endless hours, not an emotional bump in the road. I know I’m not alone in these fake, self-torturing images. Many artists have them because we don’t share our creative fears, or fear-managing techniques as freely. It’s vulnerable for me to admit my creative fears, especially when I’m an expert in my field. I used to think that being an expert meant I’d have no more creative fear. No way. Fear takes many forms. At times mine can be paralyzing. Other times as mild as “I can’t decide which color.” It will cloak itself as procrastination. Or distraction (“let me read just one more article, then I’ll find a better solution”). Or lethargy (“I just don’t have the energy to work on this tonight.”). Or self-beratement (“there’s not an original idea in my brain!”) It’s always there for me to handle, to some degree or another. If I’ve chosen to challenge myself creatively, fear will be present. If not, then I’m not challenging myself. Masters in every walk of life, artistic and otherwise, are the ones who manage, rather than deny, fear and doubt. For me, managing my fear and doubt is part of the discipline of art. Sometimes I win brilliantly. Sometimes I lose. Learning to manage is an evolving process because at different times in my life different things trigger fear, different things are at stake. In my latest book the section on fear was the most frightening for me to write. So frightening that I took it to a writer’s conference, where I knew I’d have the support I needed to finish it. It was frightening to write because in it I expose some of the ways my fear terrorizes me. In the same section, I give practical techniques I use to manage fear and doubt. My trusty work-arounds. Below is a link to a section of it in PDF download. 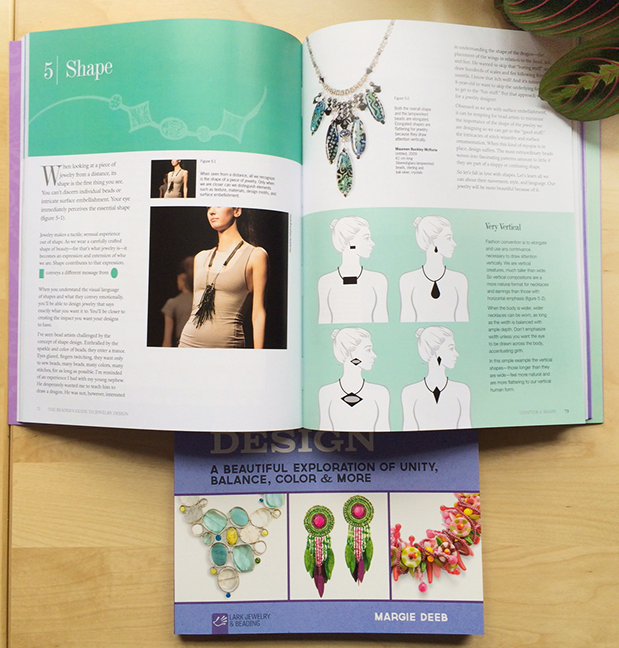 This is an excerpt from “Chapter 8: The Creative Journey” in The Beader’s Guide to Jewelry Design. I hope you’ll find it valuable. 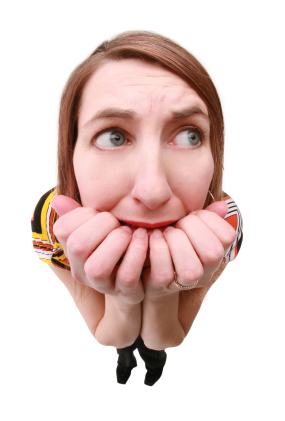 And let’s open up this conversation so we can all manage fear more easily. 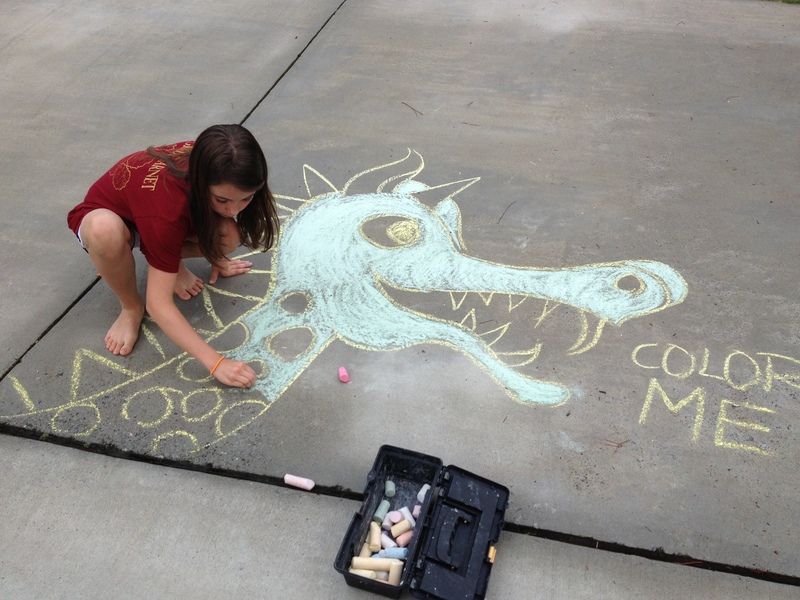 What fears inhibit you creatively? 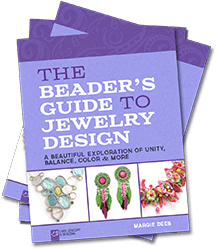 Larkcrafts.com has published the first in a 9-part interview with me about my new book, The Beader’s Guide to Jewelry Design. When I write a book of this scope I spend years of my life living it: not only creating it, but I meditate on it, dream about it, try many versions of every paragraph, every page. It is a broad and deep commitment. Made from a place of intense passion, caring, and compassion. And it sustains me through the inevitable gridlocks, fuels me when I’m tired, and sustains my Soul and Spirit through the entire journey. For me, it comes from a lifelong commitment to Beauty. Each post will give you more of the book itself and insight into my process. Enjoy! 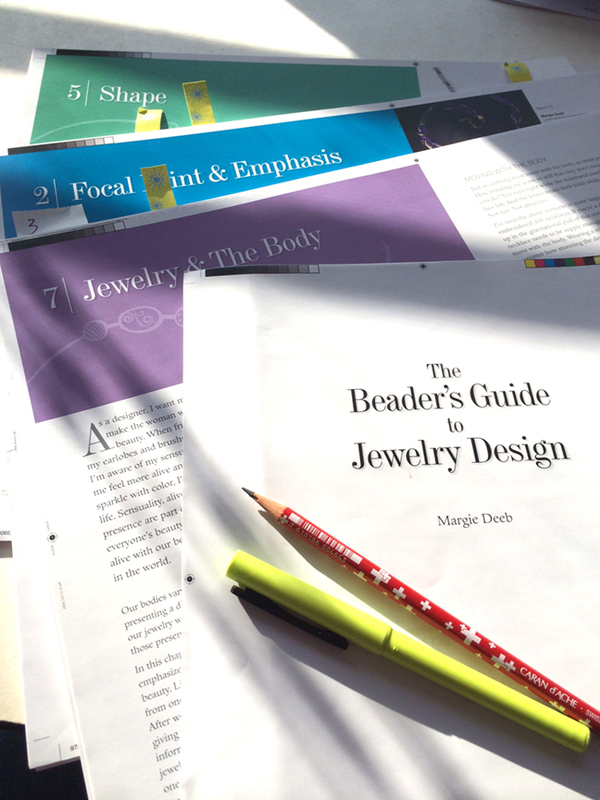 I’m finishing up the final proofs of my fifth book today, The Beader’s Guide to Jewelry Design. 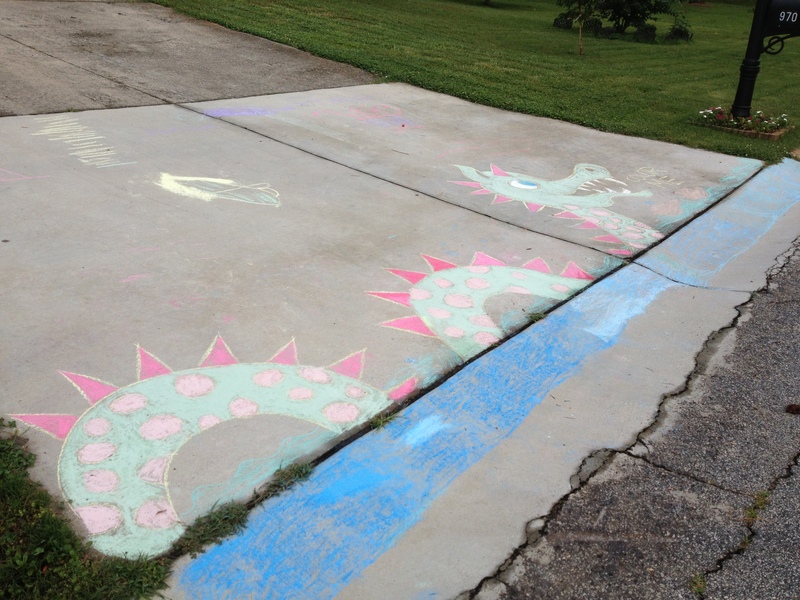 An array of mixed feelings accompanies the end of creating a project this big. I’ve been working on it for over 2 years. I wrote it, shot most of the photography, designed it, illustrated it, and produced the files for the printer (did everything except the cover). 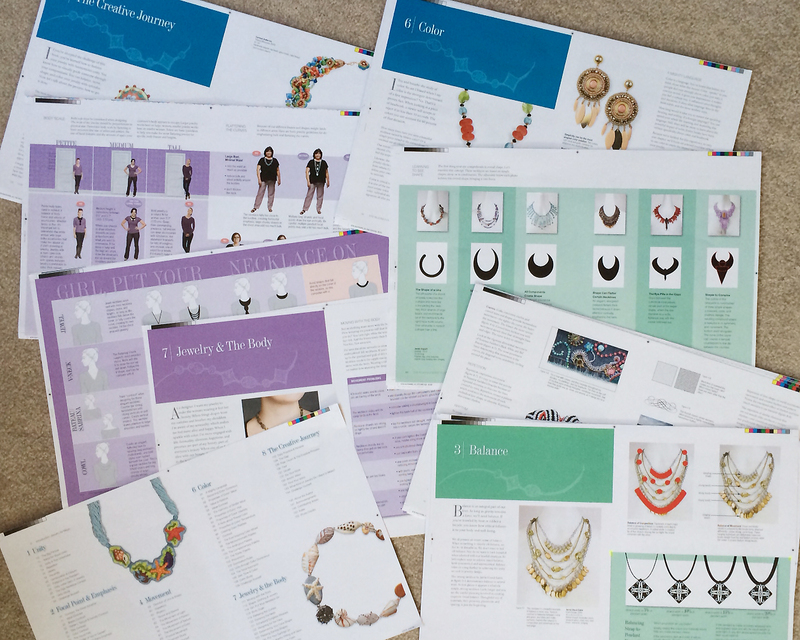 The Beader’s Guide to Jewelry Design was a massive undertaking. In reading the entire book for proofing I relived the 2-year process in fleeting flashbacks. I remembered where my life was when I began the illustrated tables for the “Jewelry and The Body” chapter. I remember the incident with my young nephew that inspired the beginning of the “Shape” chapter. He’s 2 years older now. I wonder if, when he gets older, he’ll be embarrassed by it. I thought back on who I was when I began the book… a different person than I am now. I did something I’ve not done in previous books. I was more personal: I included more of my personal creative journey and vulnerability in the pages. I wanted the the reader to feel like I was sitting with them at the kitchen table having an excited discussion about design. Maybe over a glass of wine, with pen and paper in hand. When I read the book cover to cover yesterday I realized I had achieved that. I was thoroughly engaged in the text, even though I already know what it says. I enjoyed reading it. That’s what I want for the reader: not only to learn and be changed by the content, I want them to enjoy themselves. When I finished my first book, Out On A Loom (self published), I was bouncing off the walls with excitement. The novelty of it being my First still colored my thoughts and emotions, even though it was 15 months in the making. My second book, The Beader’s Guide to Color (Watson-Guptill), took over 4 years to create because most of it was written at night and on weekends. After shipping the final proofs I was shocked to find myself depressed and disoriented. I felt like my child left me. I’d known every minute detail of her life– every comma, every word, every picture, diagram, illustration and concept– intimately. When, a few weeks later, I couldn’t remember which page a particular photo appeared, I burst into tears realizing she was slipping further and further away. I felt like something so precious was gone forever. It was. The process of creating a book is the true joy if it. Not having done it. Holding a vision, creating it, and manifesting it in the very best way I can is one of my greatest joys in life. Finishing Beading Her Image, my 3rd book (self-published), was different. When you self publish, the end isn’t as abrupt and final as sending proofs back to a publisher. You and the printer work back and forth through printing. You market like crazy, morning noon and night. (Actually, you market like crazy regardless of who publishes the book — if you want sell any copies.) Then you get busy clearing out space and stacking thousands of books in 25 – 30 lb boxes somewhere you’ll be able to reach them. And then, if you’ve done you’re marketing, you start packaging and shipping. You turn the music up very loud and you spend days and days packaging and shipping. And you wish you’d been doing more yoga and strength training the last 2 years. My 4th, The Beader’s Color Palette (Watson-Guptill) was another 2+ year project and I was determined not to be depressed afterwards. Turns out I wasn’t. So much was going on in my life at the time that required focus. And since it was my 4th book, I knew the ropes. And since resources had been depleted in its creation, I got back to work that actually brought money into the bank account (creating a book costs time and money). The process of creating a book becomes almost all-consuming for me. I love the intensity of focus. And I love it for long periods of time. I’m so fulfilled when I can plumb the depths of both my creativity and my medium, be it words, color, beads, or paint. 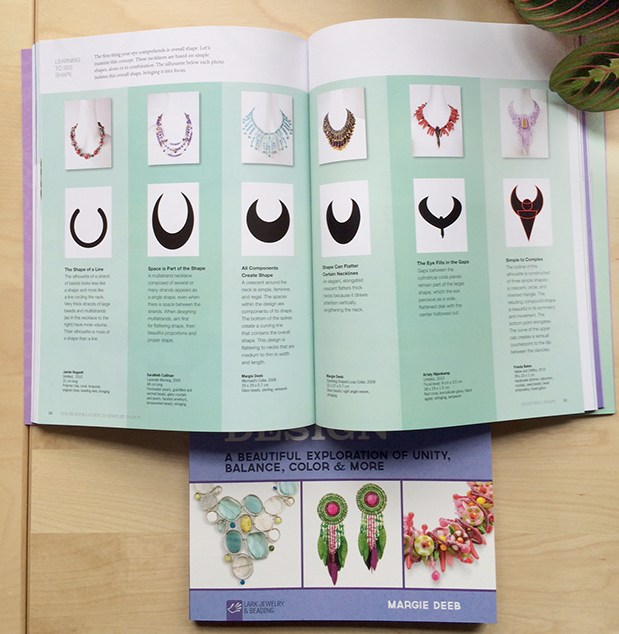 Much of this latest book is about just that: plumbing the depths of creativity (in the form of jewelry design). 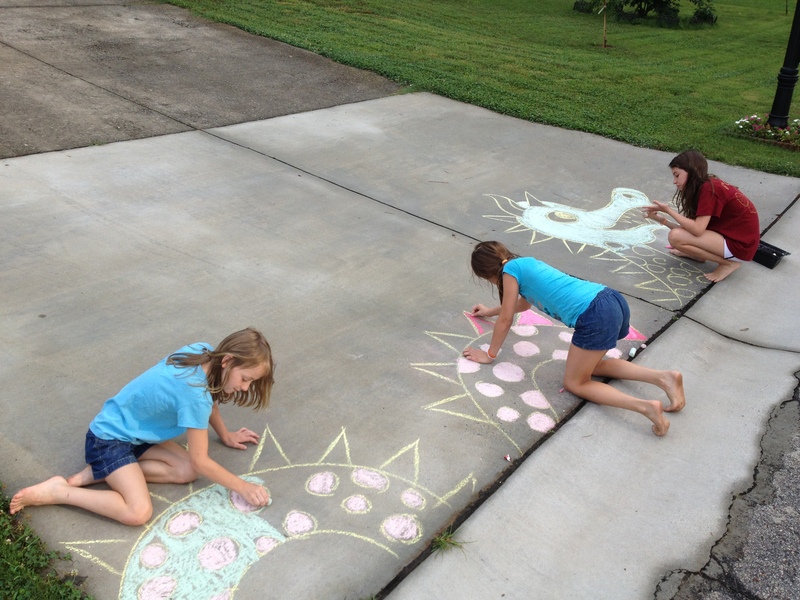 The joy of becoming a master at one’s art. The passion and sheer joy of creation. Lately I’ve been swooning over Italian author Italo Calvino. I’m reading several of his books, but the most immediate treasure is “Invisible Cities.” It is as rich as jeweled brocade silk. I stop every few sentences and savor, often repeating the words outloud, they are so mesmerizing. I’d read that he was difficult to translate for becase he’d spend as much time with the translator hashing out whether to use a comma as he would choosing a precise English word. The inhalations, the pauses, in the flow of words is just as important as the words. Which brings me to space: how important space is in art. Empty space. Quiet space. Unfilled space (which is not the same as empty space). Some of my favorite pieces of music include silence, however brief. Many of Georgia O’Keffe’s paintings use open space in a way that expands me.